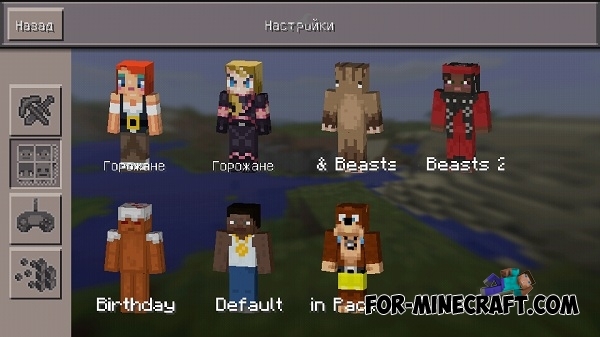 Addon adds many new skins from the collection of Minecraft PE XBox version. 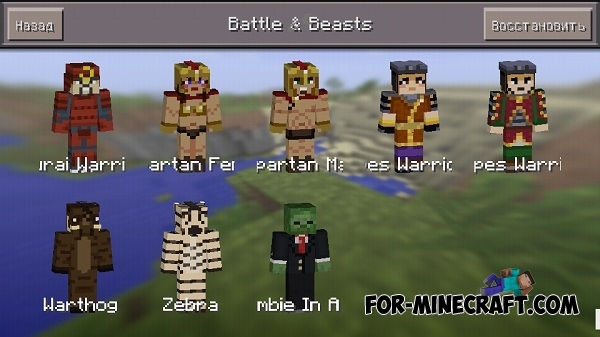 More Skin Packs mod for MCPE 0.11.0More Skin Packs mod adds many new skins in Minecraft Pocket Edition 0.11.0. Enderman skin pack for Minecraft Pocket EditionFriends, we present you an interesting new Skin Pack for Minecraft PE , which includes four cool skin! Collection of plugins for Minecraft PE 0.10.5 - 0.11.0All plugins have been tested and are working on a new version. 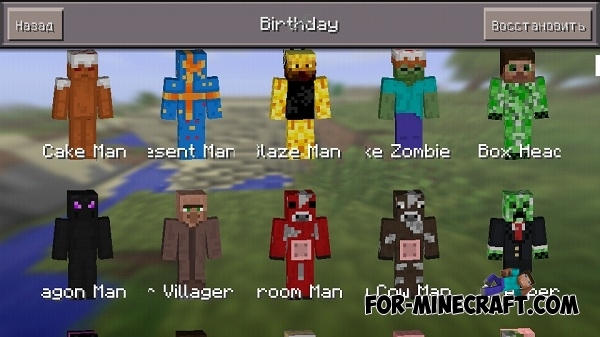 Skins for iOS version Minecraft PE 0.10.5This is one of the coolest and useful mods for MCPE 0.10.5 , namely for owners iOS. With it, you can upload your skin and play safely on the servers.